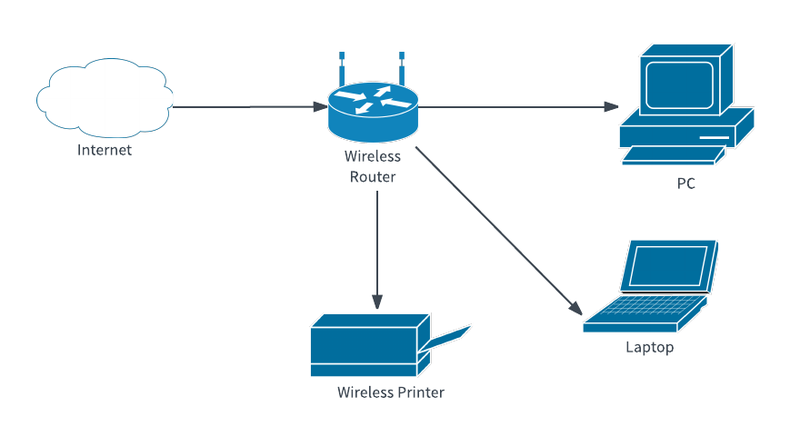 Network diagrams visually demonstrate how the different aspects of a computer network communicate and interact. While this example is a simple network diagram, you will find diagrams of all complexity that help to plan out a network and troubleshoot issues that arise. Build a quick and easy network diagram by signing up for a free Lucidchart account and editing the simple network diagram template above.